As we start a New Year with a new corps of officers, let me thank the brethren for electing me to this position. 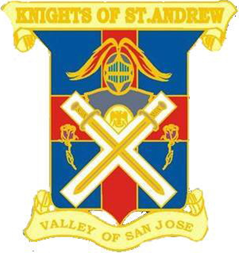 I will do my best to make it a good year for San Jose Scottish Rite, but I can’t do it alone. It takes all of us working together to make things happen…and I’m confident that we will. A New Year makes for a whole new set of possibilities! Ralph Walden Emerson said, “Finish each day and be done with it. You have done what you could; some blunders and absurdities have crept in; forget them as soon as you can. Tomorrow is a new day; you shall begin it serenely and with too high a spirit to be encumbered with your old nonsense.” And in the words of our Brother Benjamin Franklin, “Be at war with your vices; at peace with your neighbors, and let every new year find you a better man.” So should it be with us. The members have voted for our meetings to start at 6:00 PM with the dinner to follow. This “shift” has been in place for awhile now and I am interested in hearing any feed back that you are willing to give. You can call me, e-mail me, or stop me in the aisles and I will be anxious to hear what you have to say. But, in any case, I will look forward to seeing you at our meetings. In keeping with Valentine’s Day, we will be honoring our Sweethearts at our next Stated Meeting Dinner. Please be sure to come and show your support (and to let them know we care about them). In closing, let me encourage all of you to invite those brethren who are not part of our bodies to become members of them. 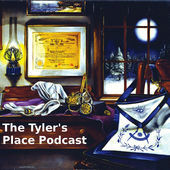 There is a treasure house of knowledge available in the Scottish Rite Degrees and it is meant to be shared. And in addition, what finer thing can there be than to come together as brethren and friends.